The British Hand Knitting Confederation is one of the oldest knitting guilds in the world. 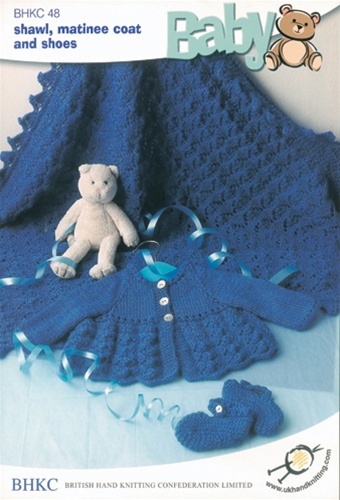 This sophisticated lacy version includes a matinee coat, blanket, and shoes. Sized for 14-18" chest. Uses DK weight yarn.